The dried berry of the pepper plant (Piper nigrum) is the spice sold as black peppercorn. While many herbs and spices tend to make seasonal appearances, black pepper is found beside the stove and at the dinner table year-round, usually right next to the salt. Black pepper is an essential seasoning for all sorts of foods, from roasted meats, soups and stews and salad dressings to egg, rice and cheese dishes. appearance & aroma Finely ground with a mild fragrance. culinary Use as a general seasoning and garnish for cooked foods. household Ground black pepper is reputed to be a laundry aid that helps to prevent colors from fading. Use 2 teaspoons per load. 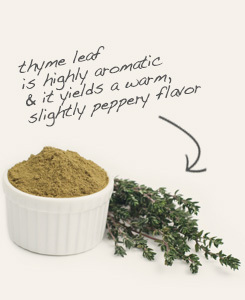 The peppery flavor of thyme is a perfect companion to black pepper in cooking. Combine with fennel seed to season meatballs, sausage and tomato-based soups, stews and sauces. Mildly pungent. Pair with sea salt in the kitchen and at the table. 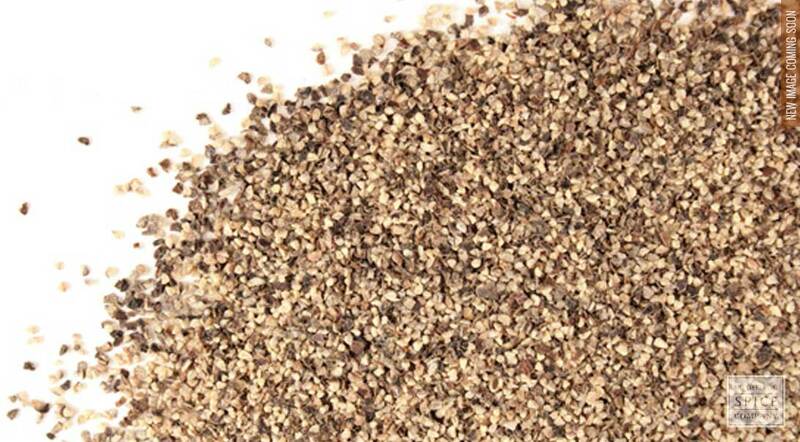 Black pepper has long been one of the most popular spices in the world. 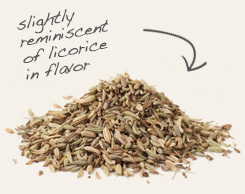 At one time, the spice was reserved for nobility and the very wealthy. In fact, because the tiny peppercorn was literally considered worth its weight in gold, it was used as currency in lieu of coin with which rent or taxes were paid. This is where we get the expressions “peppercorn rent" and “black gold” come from. Fortunately, the price of pepper has dropped to a level that most people can afford, but it still accounts for one-fifth of the global spice market today. Although Vietnam is the world’s largest producer of black pepper, the best grade comes from southern India, specifically from the Malabar coastal region.